Corona, CA – April 2018 - Corona, a leading manufacturer of professional landscape and garden tools, introduced its new line of Extended Reach ComfortGEL® garden tools. Intended for gardeners working in raised bed gardens and tight spaces by those with reduced upper body strength, postural control challenges, or shoulder and arm strength, and other physical limitations. Handles are designed at 36 - 40 inches, the optimal length for long reach and balance without the added length of standard size handles. 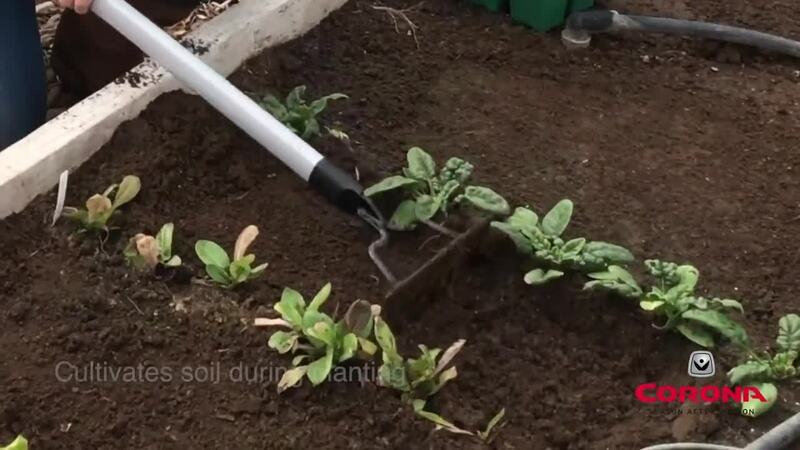 Making them ideal length and weight for raised bed gardeners who have physical strength limitations or seated on a bench to garden, which makes larger tools hard to manage and control. Extended Reach ComfortGEL® makes gardening therapeutic and a joy to use. They are light weight, with solid construction, so they are easy to use while providing maximum leverage. Their unique, trapezoid-shaped handles with specially designed soft, ergonomic grips enhance comfort and control. Extended Reach ComfortGEL 7-Tine Rake (GT 3234, $17) The 7 tine rake sports 36-inch extended reach handles that cultivate soil during the planting process, then break-up and level the soil. The grooved top excels at fine smoothing the planting bed. Extended Reach ComfortGEL Hoe Cultivator (GT 3244, $17) Perfect for breaking up clumped soil and digging up weeds, the hoe/cultivator is designed with a 36-inch extended reach handle to target raised beds and awkward locations. It moves and aerates the soil. Extended Reach ComfortGEL 2-Prong Weeder (GT 3254, $16) The tough, 2-prong end is ideal for piercing soil, then extracting weed at root – all at a distance!